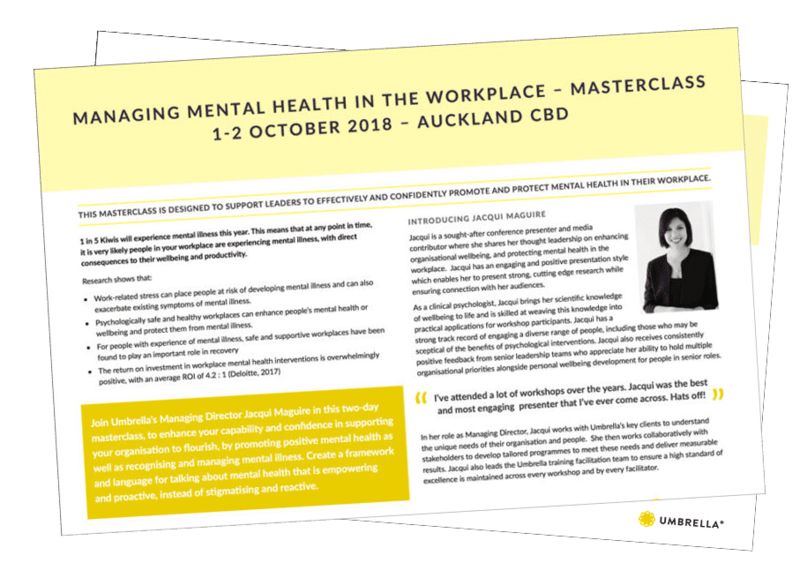 This masterclass is designed to support leaders to effectively and confidently promote and protect mental health in their workplace. Join Umbrella’s Managing Director Jacqui Maguire in this two-day masterclass. 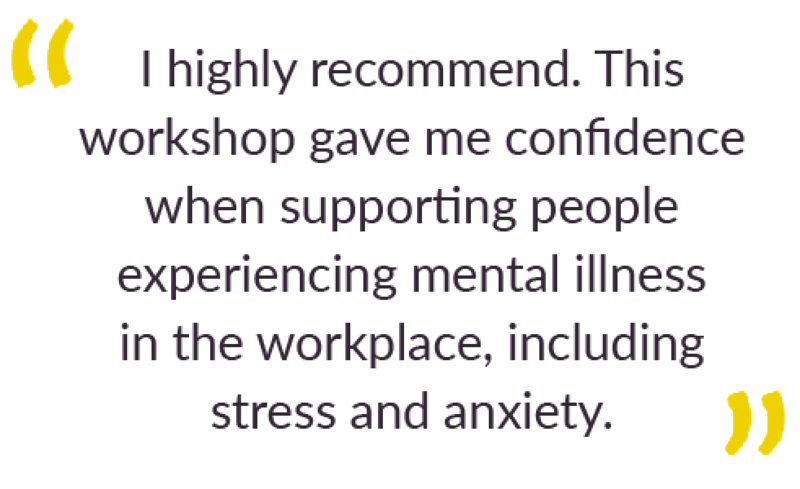 Enhance your capability and confidence in supporting your organisation to flourish by promoting positive mental health as well as recognising and managing mental illness. Create a framework and language for talking about mental health that is empowering and proactive, instead of stigmatising and reactive.